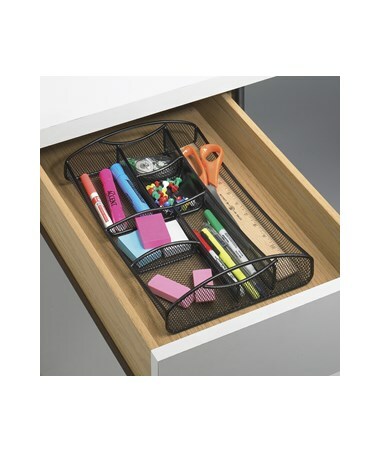 The Safco Onyx Mesh Drawer Organizer is a great tool for keeping pens, rulers, and other office essentials in order. 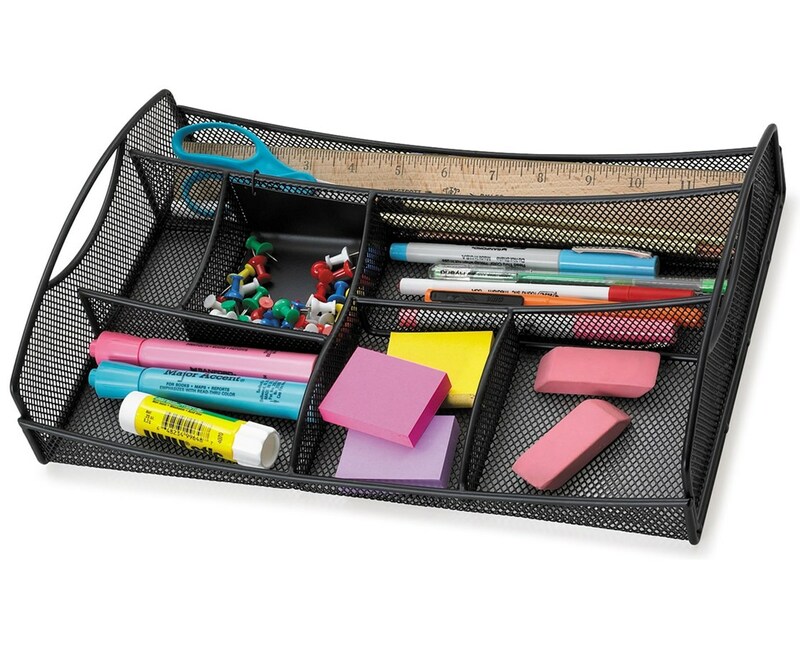 It easily inserts into any desk’s drawer to organize its contents. 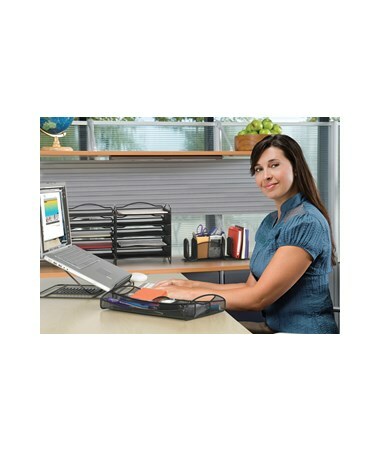 It also doubles as a small accessory caddy to be used on a desktop. 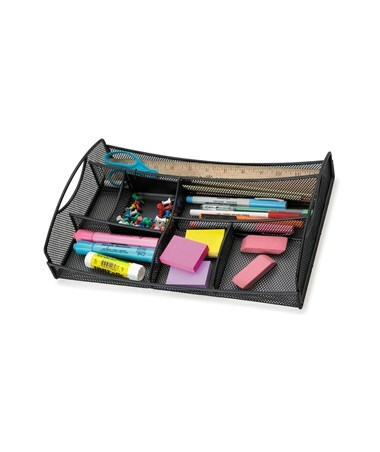 This organizer has a total of seven varying division that can fit small items of different sizes. It is made of steel mesh with a powder coat finish. It is safe for indoor use as certified by GREENGUARD.